It never ceases to amaze me the amount of misinformation that gets floated around about SEO and how to optimize your web site for search engine success. It usually starts with either a few uninformed people spreading outdated information or an accomplished / respected SEO expert theorizing or laying out opinions about Search Marketing ideals which then turn into inaccurate submissions which can spread like wild fire. So, I’ve decided to put together my ‘Top 13 Myths of SEO’ list to dispel some SEO untruths and to clarify many SEO beliefs that seem to circulate persistently. While I agree, a blog can have a dramatic & positive effect in your organic SEO rankings, it is important that you utilize the blog properly. One example includes; Installing the blog on your domain, and not using third party remotely-hosted blog platforms. Dynamic URL’s are usually database generated, and may look like index.php?page=product&id=1234. When Google was just a baby, it did have trouble crawling and indexing these types of URLs however, that was many moons ago and no longer an issue. That said, there is a small gain by using SEO-friendly URLs to include relevant keywords, eg) /keyword1/keyword2.php. Contrary to some belief, Google XML Sitemaps do not directly affect or help your rankings in Google’s search index. Back in 2005, Google announced an experimentation called Google Sitemaps and the goal was to help webmasters get their web pages indexed a little faster. It is a nice little tool that will help get your pages crawled faster when new pages are uploaded and/or you decide to switch between domains. There was a thought among many that if you ran Google AdWords campaigns, it will help with your organic Google results. This thought gained traction because since organic searches are essentially a free service from Google, that if you paid for PPC Ads, Google would give you a boost organically. Not True! PPC has never helped your organic rankings in Google and never will! 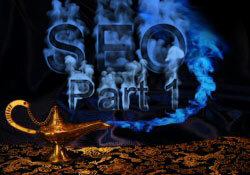 SEO Myth 9: Search Engine Submission Can Help You Get Ranked! Unbelievably, this one still seems to make the rounds. I will keep this simple, You do NOT have to submit your web site to search engines. All you need is one link pointed to your web site from another or a Google sitemap submitted through Webmaster Tools. Iti s all FREE! Let’s put this one into perspective. Is maintaining your car a one time deal? How about house cleaning? Is that a one time deal? The fact of the matter is search engines regularly modify their algorithms, so you need to adjust accordingly. What about your competitors? Think you can dominate your competitors while standing still? Think again. An ongoing, ethical SEO strategy needs to be employed if you want to be successful. This is an interesting one and some web designers have taken advantage of this by saying they can do CSS web design, which will help your Search rankings. The idea behind this myth, is that a CSS design contains less html code, therefore a higher percentage of textual content as well as it appearing higher up in the source code. 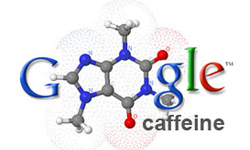 Even Googler Matt Cutts dispelled this ideal. You can have the worst coded site and it can out-rank a cleaner CSS one. All that said, it is a good idea to conform to a non-table design. Aside from conforming to web industry standards, you will also have a faster loading web site and one that will have better usability. But don’t be fooled, simply re-designing your web site this way will not mean better rankings. 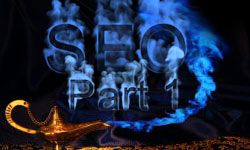 Check in a few days from now, when I put up Part 2 and run down the top 1 to 6 SEO Myths. Excellent article. It’s surprising how many people think PPC with Google will increase your organic SERP placing. This was a really nice piece, I liked it. You’re right, most people take SEO as a one-time deal, moreover the very next day itself they want to see the results. Going to scan your second part. Yes your website and content needs to be clutter FREE but the propagation by even gurus that this would be the nirvana … Well I fell for it.. But have realized that websites with absolutely NO attention to any of the tips are outranking (well thought of and manipulated) websites. I have noticed they just gave what the visitor wanted, and were pretty focused.